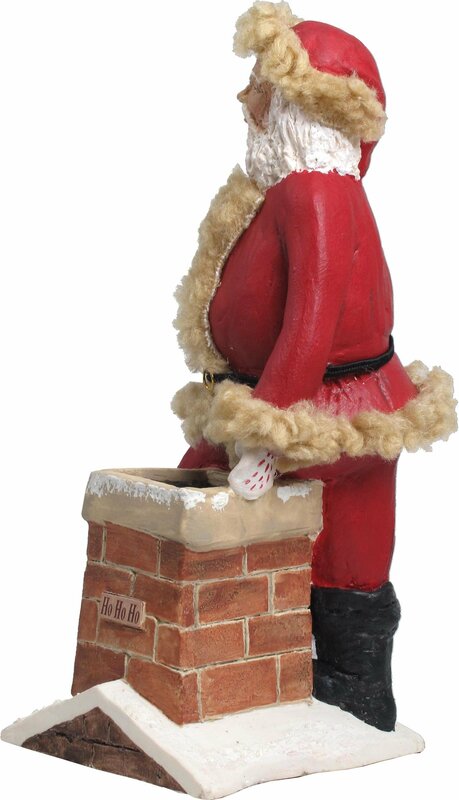 Poised on the rooftop and getting ready to slide down the chimney. 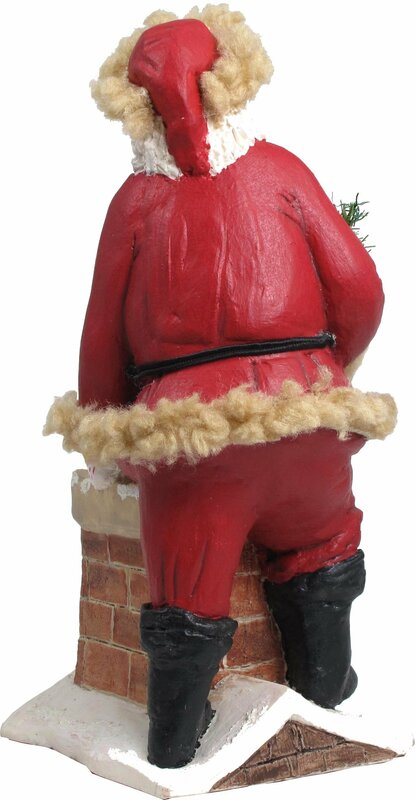 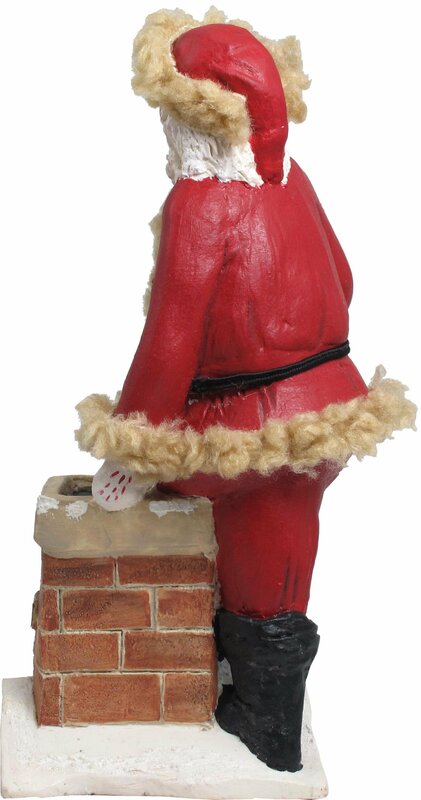 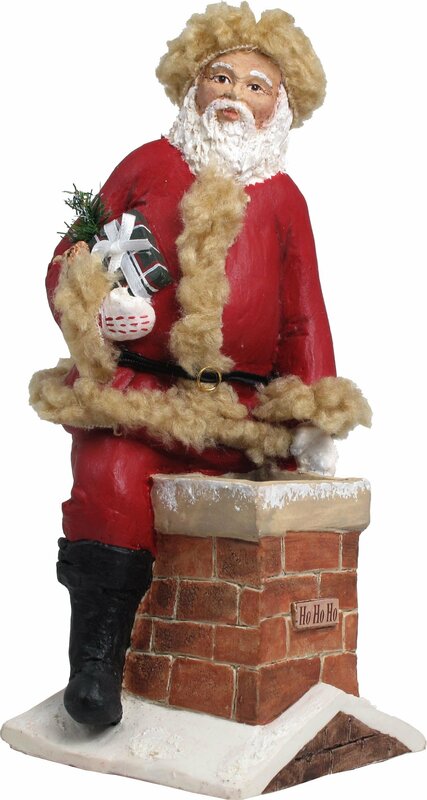 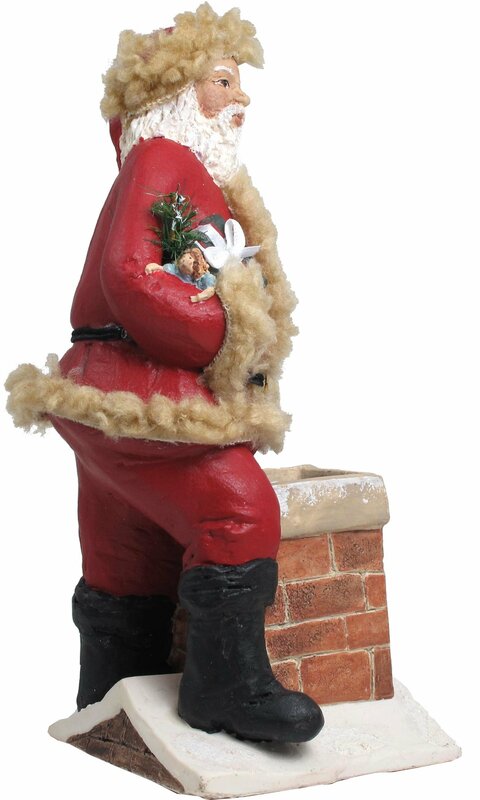 Traditional Santa is dressed in red with faux fur trim, black boots and a black leatherette belt. 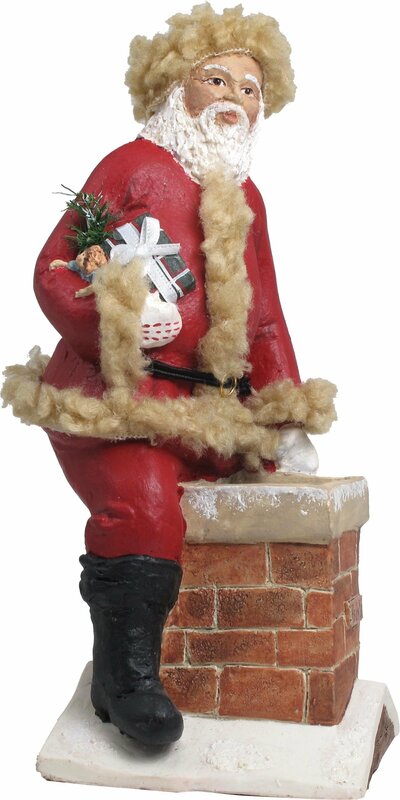 In his right hand he is carrying a small wrapped gift, which he will deliver under the tree before scurrying back up the chimney.